In today's world of gigabit connections and 4K streaming, it seems silly that the minimum speed requirement for a broadband service would still be as low as 4 Mbps. The Federal Communications Commission just took steps to correct that out-of-date threshold on January 29, said Engadget, in a 3-2 vote that changed the threshold that ISP must reach before a connection can be called "broadband." Considering the average broadband connection prior to the vote settled near 11 Mbps, the marketing and sale of residential and commercial Internet service is likely to see a dramatic restructuring. 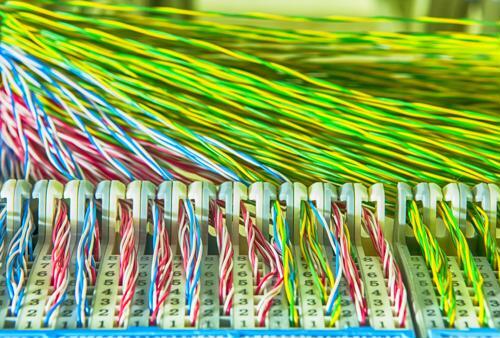 The connections hit hardest by the broadband's new rules are DSL services run over copper wires, which even at peak performance are ill-equipped to deliver 25 Mbps speeds over distances long enough to service the needs of ISPs, according to Ars Technica. This means that a large percentage of Verizon and AT&T customers no longer have a service that can be marketed as broadband, leaving ISPs in a tight spot. Though these companies have plenty of fiber-optic cable stored underground, this infrastructure is far from sufficient to reach the thousands of Internet customers that currently rely on copper wires for DSL. If ISPs want to continue offering broadband service to these customers, the companies will have to make a major infrastructure upgrade. Just last year, many major ISPs were going to great lengths to uproot and disable their copper networks. Now the same companies may be forced to devote time and resources into getting the most out of these connections. Luckily for ISPs, advancements in G.fast chip sets make it possible to deliver speeds far surpassing the new broadband threshold over longer distances. With the help of technology like fiber-to-Ethernet converters, ISPs could save thousands by retrofitting existing copper systems with G.fast chips and splitting a fiber-optic cable to homes from neighborhood hubs. By combining copper and fiber-optic technology, ISPs have an opportunity to greatly reduce their costs while delivering significantly faster Internet speeds to a large section of their customer base. Perle has an extensive range of Managed and Unmanaged Fiber Media Converters to extended copper-based Ethernet equipment over a fiber optic link, multimode to multimode and multimode to single mode fiber up to 160km.